Are you backing up the correct data? 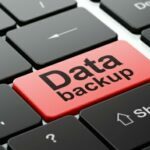 In the last few years, it has become common practice for companies to install some kind of backup procedure. However, implementations often fail to take a holistic view of the organisation’s data continuity requirements: important files are not included, all data sources aren’t factored in, application data is overlooked, formats are neglected, etc.